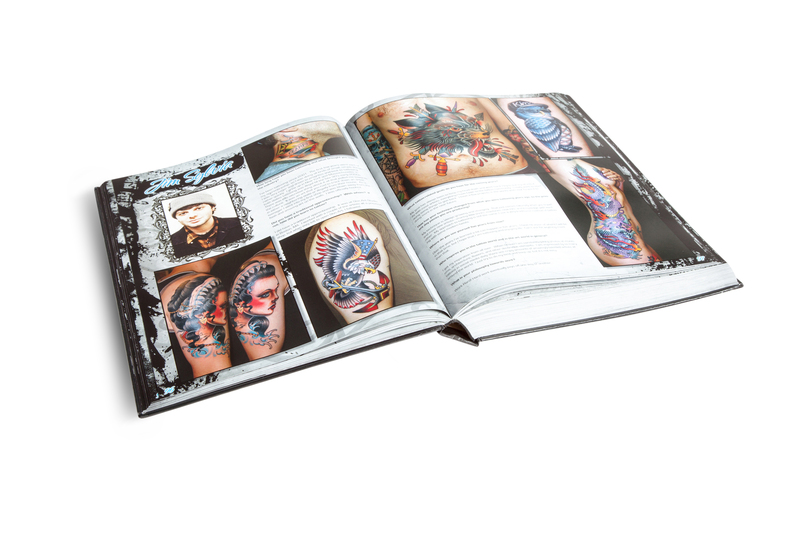 Tattoo Prodigies 2 features the world’s best tattoo artists with carefully selected, full-color galleries of impressive tattoo accomplishments; as well as inspiring stories and interviews throughout. 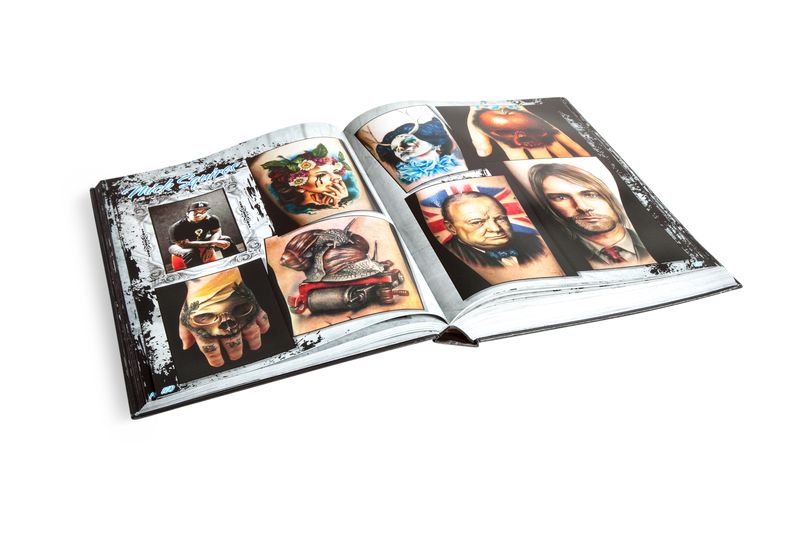 Tattoo Prodigies 2: A Collection of the Best Tattoos by the World’s Best Tattoo Artists is a high quality, hard bound coffee table book that is 10 inches wide by 13 inches tall, all 600 pages are printed in full color. 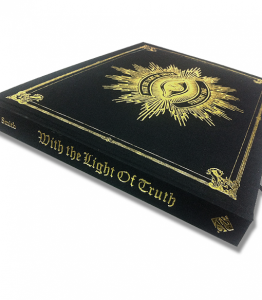 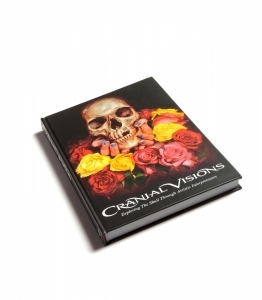 Includes 170 hand picked artists with over 2000 photos and 68 interviews! 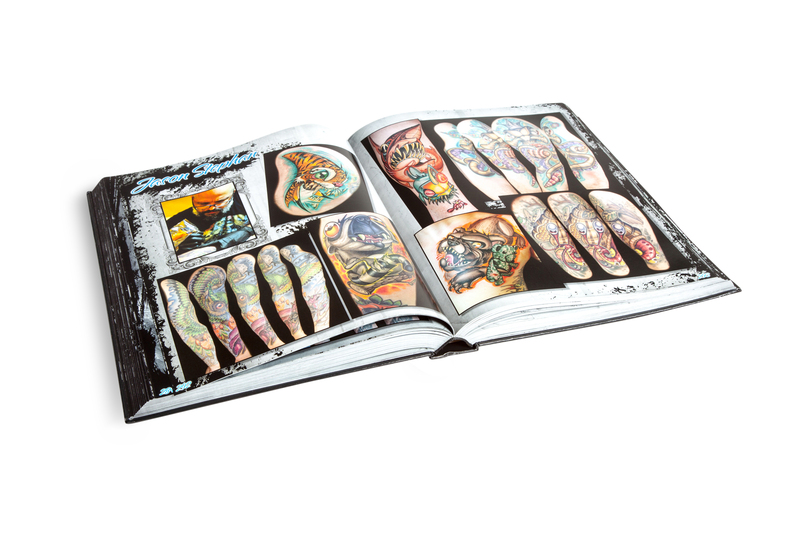 In this day and age, talented artists abound in the tattoo world. 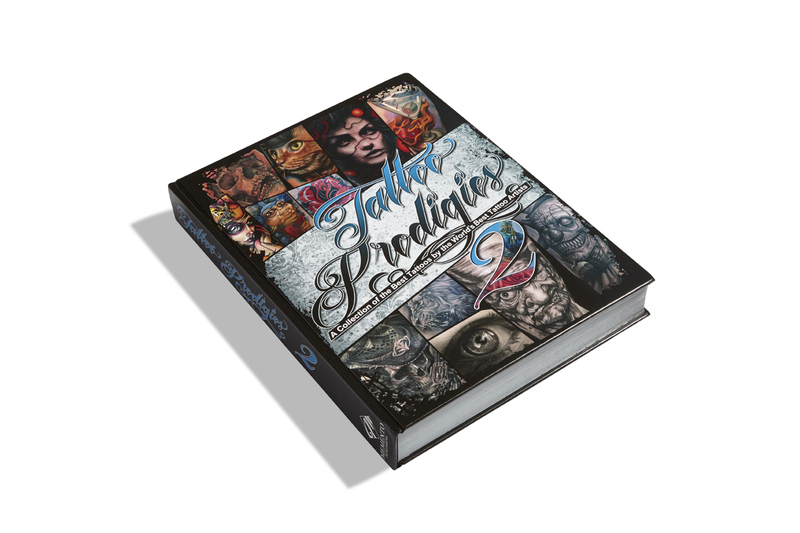 Tattoo Prodigies 2 features the world’s best tattoo artists with carefully selected, full-color galleries of impressive tattoo accomplishments; as well as inspiring stories and interviews throughout. 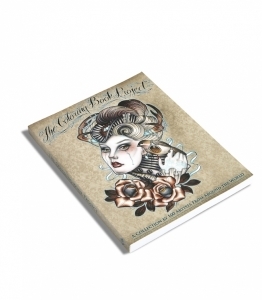 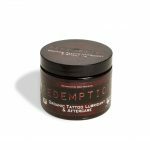 Not only is this book eye candy for ink collectors and artists alike, the content is sure to motivate those seeking to advance and learn. 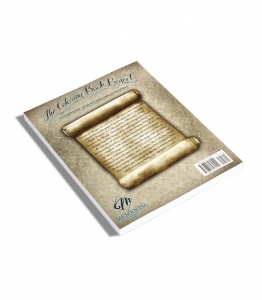 Pick up your copy today and enjoy an inspiring journey! 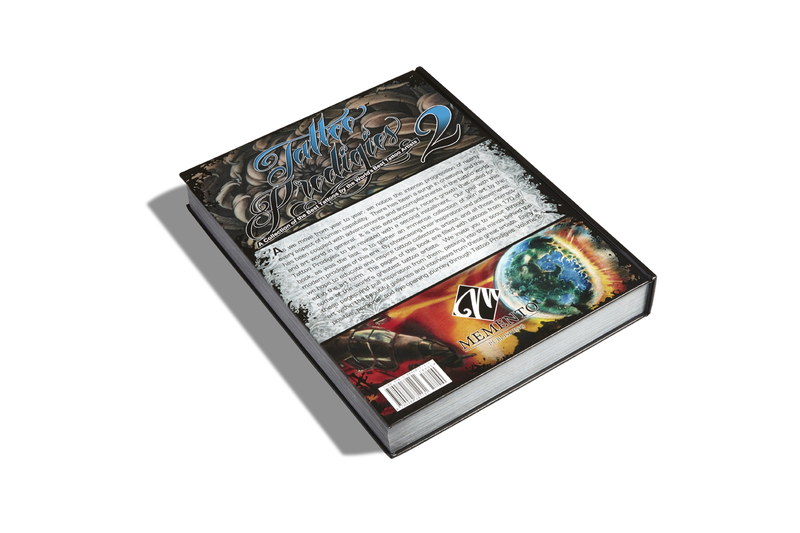 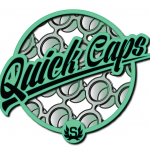 Artist List includes: Guy Aitchison, Victor Portugal, Jeff Gogue, Steve Moore, Bob Tyrrell, Jesse Smith, Nick Baxter, Myke Chambers, Shige, Mike DeVries, Stephane Chaudesaigues, Cory Norris, Carlos Torres, Roman, Durb Morrison, Josh Woods, Paul Booth, Deano Cook, Jess Yen, Kore Flatmo, Josh Duffy, Juan Salgado, Jim Sylvia, Big Meas, Chris Jones, Darcy Nutt, Nicklas Westin, Tim Harris, Shawn Will, Nate Beavers, Timmy B, Jeff Ensminger, Jason Butcher, Oleg Turyanskiy, Carl Grace, Mike Demasi, Monte, Bez, Benjamin Laukis, Bj Betts, Paul Acker, Stefano Alcantara, Frank La Natra, Big Gus, Randy Engelhard, Liz Cook, Julio Rodriguez, Timothy Boor, Rich Pineda, Tanane Whitfield, JP Wikman, Franco Vescovi, Elvin Yong, Megan Hoogland, Bugs, Carlox Angarita, Jim Hayek, Liorcifer, Crispy Lennox, Brent Olson, Fernie Andrade, Tater, Shane Gallagher, Mike Parsons, Kari Barba, Don McDonald, Dillon Forte, Aric Taylor, James Tex, Sean Sullivan, Dan Henk, John Anderton, Fabz, John Barrett, Robert Pho, Sean Herman, Jason Stephan, Teneile Napoli, Sam Clark, James Kern, Jeremiah Barba, Zack Singer, Tony Ciavarro, Robert Atkinson, Megan Massacre, Jack Ribeiro, DJ Minor, Brad Bako, Marc Durrant, Benjamin Moss, Daniel Chashoudian, Andrzej Lipczynski, Tommy Lee Wendtner, Jay Wheeler, Big Sleeps, Dongkyu Lee, Ryan Mullins, London Reese, Michele Wortman, Cory Cudney, Dan Hazelton, Andy Engel, Mikko Kiviranta, Fishero, Byron Drechsler, Christian Perez, Matt Jordan, Aaron Bell, Ivano Natale, Katelyn Crane, Niki Norberg, Oddboy, Paolo Acuna, Tim Kern, Ryan Hadley, Ken Patten, Justin Hartman, Adrian Dominic, Dominick McIntosh, Tim McEvoy, Ivan Stankov, Steve Morris, Mario Rosenau, Katherine “Tatu Baby” Flores, Anabi, Ty McEwen, Jamie Lee Parker, Andre Acosta, Sergio Sanchez, Steve Wimmer, Bullet BG, Josh Payne, Jose Perez Jr., Tommy Montoya, Matteo Pasqualin, Javier Obregon, Sweet Laraine, Chad Chase, Nate Banuelos, Antonio Macko Todisco, Mike Rubendall, Dmitry Vision, Montalvo, Fernando Fly, Carson Hill, Larry Brogan, Seunghyun Jo, Tom Strom, Ron Russo, Darren Wright, Andrey Barkov, Evan Olin, Ron Meyers, Mike Riina, Tomasz Tofi Torfinski, Silvano Fiato, Delaine Neo Gilma, John Wayne, Craig Gardyan, Jack Rudy, Shane O’Neill, Robert Kane, Nikko Hurtado.